Perform systems analysis; analyze data processing problems and procedures; automate or improve existing systems; review system capabilities; plan system workflow. Document programs and responsible for database creation, executing scripts, analysis of systems and databases, modeling, and test framework. 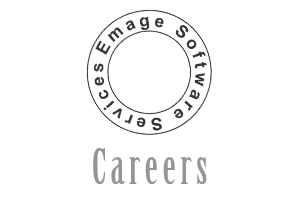 Work independently under overall objectives/directives with extensive involvement in Software Development Life Cycle Methodologies. Develop automation framework components and test scripts. Provide technical solutions to the business requirements and develop detail technical design documents and review it with the client and cross functional teams. Conduct integrated system testing with sub-systems. Minimum Requirements: Master's degree in Computer Science, Computer Information Systems, Business Administration, Management Information Systems, Engineering, or any related IT or Business field of study, plus one (1) year of experience in the job offered or in any related position(s). SQL, PL/SQL, C#, ASP, .Net, Java, VB .NET, Oracle, SQL Server, DB2, Informatica, UNIX/LINUX, Angular JS, NODE JS. No travel. No telecommuting. Job duties are project-based and performed on long-term assignments at various unanticipated sites within the U.S., which may require relocation at the end of each project. •	Travel Details (if applicable):No travel or telecommuting. Job duties are project-based and performed on long-term assignments at various unanticipated sites within the U.S. which may require relocation at the end of the project. Conduct GAP and feasibility analysis. Participate in Joint Application Development sessions with cross functional teams for business system requirements analysis and prioritization with cross functional teams Perform job duties utilizing Software Development Lifecycle Methodology concepts, Agile, SCRUM, etc. Minimum Requirements: Bachelor's degree in Business Administration, Engineering (any), Information Systems, or any related field and one (1) year of post-degree, related and progressively responsible experience. Employer will accept a three - or four-year degree and will accept a foreign degree. •	Travel Details (if applicable):No travel. No telecommuting. Job duties are project-based and performed on long-term assignments at various unanticipated sites within the U.S., which may require relocation at the end of each project.